Attempting to ease the sting, Obama got a little bit uppity. He leaned in, elevated his voice and went into a denial and distort story about visiting Israel before he was the President of the United States. He rambled on, as he is prone to do, but ultimately skipped addressing the Israel slight or the numerous speeches he made about “America is bad and we’re sorry” during the apology tour. 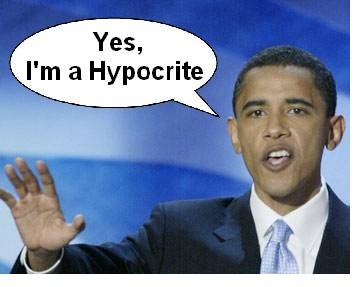 Romney’s jab is significant because it showcases how Obama conducts his foreign policy — as an weakling. Look at the Libya events that took place just last month. Obama and his administration spent numerous weeks stating the violence was sparked by an anti-Muhammad video and apologizing to the Middle East for it. During that time, not a word was mentioned about the concept of freedom of speech nor that Obama was intent on protecting it. Authorities actually approached Google (the owner of You Tube) and requested they squash access to the video. Isn’t that censorship? Consider, too, that the video-maker was identified, detained, questioned and even forced to do the “perp-walk” in front of national media. All this because he made a video. But making amateurish videos is not against the law. Nor is criticism or making inflammatory remarks. Yet, as of today, more authority has come down upon our video-villain than on the militants that carried out the attack that killed four Americans. And this is the problem with being an international weakling — you end up making America look bad by undermining our founding principles. The reality is those that hate us already see America as bad, depraved and evil. We are the Great Satan. Who would be so naive as to think that validating their outlook will change their minds? Erroneously acknowledge we are evil to those that portray us as evil and you re-enforce their outlook — you don’t alter it. We just can’t make videos. Or openly critique Islam. Or call radical terrorists — radical terrorists. It is an immature and self-destructive outlook. America has a black president. It has a woman that runs the State Department. Americans believe in freedom of speech and equal rights. At the same time, there exist cultures in the world that shoot children for seeking an education, lock people in jail for bad-mouthing leaders and don’t allow women to drive. Yet, to the apologists, it is our values that create the problems of the world. If you believe the Left, foreign policy was a feather in Obama’s cap. The “courageous” decision to kill Osama bin Laden and Obama’s “heroic” drone attacks were scenarios the Left could spin a narrative around as a reason for re-electing Obama. Better still, if the Right attacked his approach, the Left could counter by claiming apologies do work because Obama has kept us safe. Unfortunately, the terror attack against the American consulate in Libya shows this narrative to be just another lie. Here we go. This is it! Tonight’s final presidential debate begins at 9:00 p.m. EST. 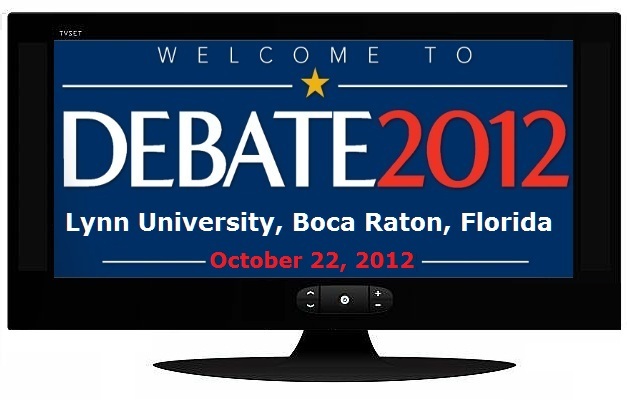 You can view it live online from Lynn University in Boca Raton, Florida , here at white House 2012. While Mitt Romney has a perfect opportunity to hammer the President over Benghazi and use it to demonstrate how his Administration has been conducting a failed foreign policy and dangerously incompetent national security and intelligence operation. But Romney may not too aggressive on the issue of Benghazi for two reasons. First he does not want to be seen as overly aggressive and as exploiting the tragedy for political purposes. 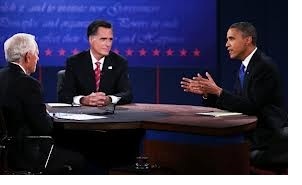 The other reason is that all Romney needs to do to win tonight’s debate is hold his own against the President. That standard should force Romney to play it safe tonight. But President Obama has to take an approach different from Romney’s. President Obama needs to score a knockout blow on Romney and reverse the momentum that is currently propelling him ahead of the President in national polls and battleground states. whether he can achieve that or not is unknown but also unlikely. But it will certainly be fun to see the President try to knock Romney out on foreign policy while his own foreign policy is unraveling before our eyes. After opposing the war in Iraq and calling it a “dumb war”, and after carrying out the Bush timeline in Iraq and seeing that war through to its conclusion, do you still consider it to have been a “dumb war” and given the current situation in the Middle East, do you think we would be better today if Saddam Hussein was still in power? The question is one that goes to the heart of Barack Obama’s foreign policy or lack thereof. It is a policy that is adrift and lacking any meaningful purpose. And the question I put forth is one which if answered honestly, should shed some light on the President’s willingness or unwillingness to confront our enemies if he were to be granted a second presidential term. Candy Crowley Screwed Up. We Told Her To Keep Her Mouth Shut. ROMNEY: I think (it’s) interesting the president just said something which — which is that on the day after the attack he went into the Rose Garden and said that this was an act of terror. Her comment was then followed by applause. The moment lended a total lack of credibility to notion that the questioners in the audience of this town hall and its moderator were impartial or undecided participants. Nothing says undecided and impartial like the moderator making one side’s argument and the crowd cheering. But this is exactly why in a pre-debate post , I specifically stated that Candy Crowley needed to keep her mouth shut during the debate. As it turned out, within an hour of the debate, Crowley popped up on CNN admitting that she was wrong. The President never actually called the violence that killed 4 Americans in Benghazi a terrorist attack as he and Crowley claimed he did from the Rose Garden on September 12th. Then for 14 days following that statement, the President and his Administration still refused to call the tragedy in Benghazi a terrorist attack and tried to claim that it was the result of a spontaneous riot inspired by a video. But Candy couldn’t help herself. When she saw her prefered choice for President needing a lifeline she pretended to be the host of “Who Wants To Be A Millionaire” and gave President Obama a chance to call on a friend for the answer. That friend being herself. If only she listened and kept her mouth shut. Instead she confirmed that her next job should not be moderating a presidential debate or reporting the news, it should be as the White House Press Secretary in the next term of whatever Democrat wins the presidency after Mitt Romney’s two terms in the Oval Office. Oh yeah, let us not forget the other thing confirmed during all this… our President was again caught lying in an attempt to save his presidency and get reelected.